At Lindal, we strive to support our homeowners, potential clients, and independent local dealers. Our Lindal Cedar Homes FAQ list answers your questions about estimating costs, construction, financing, and more. Please browse our frequently asked questions to learn more about Lindal and our outstanding homes. If I want to add to my home later, is that feasible? Absolutely! In fact, many customers have. It is best to work with Lindal for your addition, as we are familiar with your home and its post and beam structure. Your Lindal dealer will be able to make sure your addition blends with the original structure and does not look like an afterthought. Do you provide mechanicals on your drawings, such as HVAC (heat, ventilation, air conditioning) and electrical? Because of local building codes, it is best for you to take your completed plans to someone local. For example, the electrician you choose to contract for your house would be able to assist you with the electrical details best. Of course, your dealer can assist you in resourcing these services. Do you provide foundation drawings? We provide foundation drawings that outline the walls and locate point loads. For an additional fee, we can also size the pads and footings with an engineered foundation, if required. However, additional information on your building site, such as topography and soil conditions, would be required. What is included in the package I get from Lindal? Do you provide lateral engineering and shear wall analysis? Yes, it is available at an additional cost to the basic package. However, your Lindal is designed and engineered stronger than conventional engineering, so most customers find this is not a necessary step in the planning process. We have association with engineering firms familiar with our system who have most state stamps available. Can I get the same components locally? The quality of materials used in a Lindal home cannot be purchased at your local lumberyard. From the forest to the building site, our strict quality control standards and grading system begins where industry standards end. By kiln drying the lumber to reduce and control moisture content, we also decrease the chance for twisting and warping that often occurs with green or air-dried lumber. Kiln-drying also reduces the weight while increasing strength, making your construction easier and freight costs lower. We also specify select structural grades that are typically not available in local lumberyards. If I order a home today, when will the package be delivered to my lot? Once you approve the final drawings and sign the authorization to ship paperwork, we usually ship your home within four to five weeks. The development of the plans depends on many factors including the style and complexity of the home and the engineering requirements of the site. Consult your local dealer for real-time estimates based on those factors and today’s production process. Can you guarantee me a firm delivery date? When you approve the final permit plans and sign the authorization to ship paperwork, we can then provide you with a delivery date, and we usually ship your home within four to five weeks. We ship via flatbed truck to areas in the Western United States and Canada. Piggyback containers via railway take our homes to Eastern North America and overseas. Who is responsible for being at the delivery? Your local dealer will be at the delivery site to supervise and inventory the shipment. At that time, they will report any missing or broken pieces to Lindal for immediate reshipment. Your contractor should be there to offload and place the materials on the site, as the truck driver does not provide this service. You should be there also to celebrate the event and enjoy the beginning of the construction process. What kind of equipment do I need to unload? Your dealer will advise you and work with you to get your new home unloaded properly and safely. The site and road requirements will dictate the type of offloading process to anticipate. How long do I have to unload the home? Your dealer will work with you to get your home unloaded. Generally, it takes about four hours. What do I do if something arrives at the building site missing or broken? Your dealer will be there to inventory and inspect the materials. They are responsible for communicating any replacement pieces to Lindal for immediate reshipment. Lindal sends a detailed parts list with the materials and every piece of lumber has a specific part number to verify. A digital photo can quickly help illustrate damage concerns to our Customer Relations department. How can I be certain that you will ship the exact home ordered? We guarantee it! In our 70 year history, the wrong home has never been shipped. If this ever happens, we will promptly reship the correct home. Do you have builders who will put this home up? All Lindal home packages are sold through local dealers. Each local dealer can provide a list of several qualified builders in your area. Some dealerships have their own crew also, but it varies depending on the dealership. Can I deal direct with the factory? We only sell through local independent dealers. They are more readily available to meet your needs, and they are more knowledgeable about local conditions that affect the ability to complete your dream home. We have service teams dedicated to assisting the dealer on the local level, as well as internal representatives available to assist your dealer with your dream home project. The success of your project is our top priority. How detailed a construction guide do you provide? Prior to delivery, you will receive a very detailed new home construction guide to share with your general contractor. Each part of your package is also numbered to match the guide and make the building job more efficient. We do not sell a “wood pile,” but rather a detailed plan that keys all the part numbered pieces into place. How can I choose a competent contractor? When you are evaluating contractors to build your home, make sure they are bonded and insured. Also, ask for and check references and talk to your local Lindal dealer, who will have a list to from which you can start the interview process. Do you have customers “do-it-yourself” without a contractor? Yes, but we don’t recommend it. Building a house is a very specific, time-consuming project. A builder is trained and experienced to make sure you are happy with your new home. Does it take longer to construct a Lindal home than a conventional home? The Lindal post and beam home takes about the same amount of time for a builder to complete as a custom conventional home. Although, more care is typically required due to the vaulted cathedral ceilings. Will my dealer or someone from the company be at the delivery? Your local dealer will be at the delivery site to supervise and inventory the shipment. At that time, your dealer will report any missing or broken pieces to Lindal for immediate reshipment. Can Lindal Cedar Homes have a ducted central heating and cooling system? Yes! It is possible. Just make sure that you specify this request at the beginning of the design phase. What is the difference between post and beam and conventional construction? Lindal post and beam construction is designed to carry all of the weight of the home on the post and beam structure, limiting the weight on perimeter walls and interior partitions. This allows large open spaces and rooms to be modified more easily. Conventional construction bears weight on interior and perimeter walls, making modifications more difficult. Why should I buy a plan book? Our plan book is a very useful home planning tool. We share the stories of Lindal homeowners and the processes they went through to bring their dream home to life. Their experiences are full of valuable insight for any custom home building project. It is also comprehensive plan book that helps you decide what materials you want in your home, from the style of floor plan to siding, window, and door options—even kitchen and bath amenities. Explore the benefits that our quality features can add to your project. Why not give the plan book away? The plan books are an award-winning publication and you will find the many full-color photos and specific details a tremendous aid in planning your Lindal Cedar Home. At $20 (plus shipping and handling), you will find them well worth the investment! If you take the time to visit your local dealer, you can save even more. Order now or call your dealer to arrange for a visit. Your local representative is the best overall resource to help you get started! While you are visiting with our dealer, be sure to order the plan book. Living Dreams helps you in situations that begin where you are today, by telling the story of Lindal owners and the processes they went through to bring their dream home to life. It is also a comprehensive workbook that helps you decide what you want in your home—from floor plans to siding to kitchen amenities. 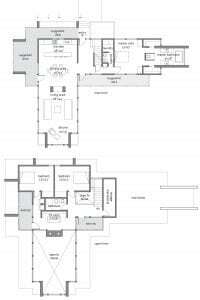 Can I have my own architect draw my floor plans and have Lindal just ship the product to me from those floor plans? Your architect will need to work with the design team at Lindal to create your floor plan. Due to our unique patented building process, detailed part numbering system, and lifetime structural warranty, your local architect will not be able recreate our system. We work with architects on a regular basis, and your project will benefit from that symbiotic relationship. Can I just buy a set of floor plans from Lindal? When you decide to invest in a Lindal home, you invest in a complete package. We sell quality homes, not just floor plans. How many times can I change my home design before you ship my home? Until you authorize us to ship the home, you can change floor plan as many times as you want. Our typical production system allows for a preliminary plan and one amendment to produce the permit plans. However, we have a design track that accommodates additional work when required. Once we have “frozen” the design with your authorization, we put our pencils down, and the floor plan design work is done. Does my deposit entitle me to own the plans that you draw? As with all house plans, the drawings are copyrighted property of the designer. So the drawings will always remain the copyright property of Lindal Cedar Homes. You own the right to build your plan on a single-use basis, with our home package materials. Will I get my home any earlier if I order one right out of the plan book? If you order a plan book model “as is,” it will shorten the time from when you place your order until you sign the authorization paperwork that prepares your home for shipment. We have developed the Lindal Favorites program, in which you choose one of the most popular Lindal home plans. You take advantage of personalizing your home while shortening the planning process. Otherwise, the time it will take to put your package together for shipment will depend on the choices you make and the amount of custom work to be done. Your local dealer can assist you in this assessment. Is there one time of year that is better to order a home from you? No matter when you are thinking of delivering your package, start today! The more time you have, the easier the decision process and the less stress on you. Historically, we try and maintain the same schedule throughout the year, and the “best time” to start is today. Do you have any plans for one-level homes? Yes! We have several options. You can even search the plans online. First, be sure to register, and then search our home plans to find the floor plans that meet your search criteria. Most of the world uses metric sizing. Is this a problem for you? No, all of your Lindal home plans will show both metric and imperial measurements. Are your homes expensive to heat? No. Relative to heating prices in your area, it is usually lower than comparable homes. Due to the quality of materials, construction methods, and custom-made windows, a Lindal home addition is an energy-efficient home. With so much glass in my house, will it be expensive to cool it in the summer? No. The Lindal windows are energy efficient with highest industry rating for their ability to prevent air and water infiltration under the toughest test conditions. State-of-the-art low-E argon glass is our standard for comfort, energy efficiency, and reducing fading of draperies and furniture fabrics. What is Lindal’s Copyright Policy on Home Designs and Images? All Lindal designs and images will give you ideas about how your Lindal home will look. They are protected by copyright law, and you may use them only to design and construct a home using Lindal’s premium building materials. Any other use, including without limitation the preparation of new plans based on Lindal’s plans, is strictly prohibited. Renderings and photographs may show premium upgrades available from Lindal. The scale of floorplans varies. Consult your local independent Lindal dealer for updates and pricing. All rights reserved. Is your design capability any more sophisticated than using a local custom builder? Lindal Cedar Homes has been producing custom homes for more than 70 years. The post and beam building technology we employ has virtually limitless design flexibility and cannot be duplicated by the local custom builder. In addition, our home design library includes thousands of classic, modern, and traditional home plans to meet every lifestyle. We also welcome your own ideas, as one-of-a-kind projects are no stranger to our company. Why do you use glulam posts? A glulam post is more dimensionally stable, providing a major advantage over dimensional lumber: it will not warp and twist. The posts also match our glulam beams for aesthetic harmony. What makes Lindal post and beam construction different than other post and beam companies? Lindal uses a unique grade of architectural glulam posts and beams. Compared to conventional post and beams, the glulam post and beam is more stable and does not shrink and twist. Our beams also use a white glue, which provides a more finished look, adding to the beauty of your new home. Are your homes prefab (prefabricated) kit homes? Our homes are custom designed and crafted around a building system incorporating post and beam construction technology. We further detail the plans and high quality materials with a part numbering system, where every piece of lumber has a place. So, our system differs from true prefab. But our system provides a flexible and accurate approach to building a custom home not found at your local custom builder or in the prefab market. Are structural panels used in a Lindal home? Structural panels, when required by local codes, are used as prescribed by engineering, and they work very well with our naturally-strong system. Lindal post and beam construction is a system that readily withstands onslaughts of extreme weather on its own. We have had great success in our homes overcoming hurricanes and earthquakes. Is there a difference between a Lindal home and a manufactured home? The major differences are quality, choice, and service. We provide industry-leading quality materials, backed up with our Lifetime Structural Warranty. Lindal also has more than 70 years of experience providing custom homes with a multitude of options and material choices. First, you will choose from thousands of floor plans that can be modified to fit your lifestyle. The entire home package is assembled at your home building site. Our flexible post and beam system is supported by our experienced dealer network, providing local support and services. Is a Lindal Cedar Home a kit home? When you purchase a Lindal Cedar Home, you are buying a complete home building materials package, not just a kit. This package is customized to fit your needs, your site, and your budget. After all, it is not a wood pile, it is a lifestyle. How much does a Lindal Cedar home cost? Your local dealer is the best source to answer this question. They will be able to help you estimate the package price along with local building costs. Variables to address include the lot, the package, and the finishes. Without knowing these factors, a price can not be determined with any certainty. Additional issues that you may want to discuss with your own dealer include the cost savings between one and two-story homes, total square footage of your home, the footprint and roof pitches, the time of year, your choices in millwork, and how the interior finish selections affect the final budget. The home construction loan and current home mortgage rates also need to be taken into consideration. Really, there is not a short answer to any of these questions. In each case, there are so many variables that it is not possible to provide an accurate answer without asking several additional questions and gathering more information. It is also why we do not have a “price list” of our homes on this website, since every Lindal home is unique, and the same home plan can cost more or less depending on several factors. To learn more, visit our Budget and Pricing page. In this article, we discuss the factors affecting the price per square foot on any new home construction project. Materials. Material costs can fluctuate based on local building codes, construction moratoriums, zoning laws, covenants and restrictions, availability of supplies, weather conditions, natural disasters, public or private water and sewer and several hundred other factors. Then making personal choices to finish the interior will greatly affect the final price, depending on whether you choose standard finishes or luxury or somewhere in between. Labor. Labor can vary substantially based upon the time of the year, complexity or uniqueness of the project, good or bad economic times, job site conditions, regional markets, the unemployment rate, availability of workers and more. To make it even harder to calculate a cost per square foot, there is no uniform method of measuring square footage. Depending on how the square footage is measured, cost calculations can vary greatly on the same project. Some will simply measure the exterior walls and then multiply that by the number of stories in order to get a square footage. Many builders only include the heated finished area of a home when calculating square footage. Basements and garages are counted depending on who is providing the quote. In a Lindal home, the basement is only counted as part of the final square footage calculation if it is a finished space with interior partition walls, doors, trim, etc. “Bonus” areas, such as lofts, screen porches, and covered breezeways may or may not be counted, yet can greatly affect your final price. In a Lindal home, loft space is measured as part of the square footage, but usually covered outdoor areas are not. Turnkey Cost Per Square Foot: Square footage costs often do not include the price of the land and site work, landscaping, design costs, wells and septic installations and utilities. One or Two Stories. Two-story homes are typically most cost-effective. A two-story home will have a smaller roof and foundation, and the plumbing and ventilation are less spread out. Size. The general rule is that large homes cost less per-square-foot than small houses. The larger the home, the more square footage to spread the cost of expensive items over. A fixed cost for a standalone item such as a $1000 refrigerator would add $1 per square foot to a 1000 square foot house, but only $.25 per square foot to a 4000 square foot home. Complexity. Simple rectangular houses with straightforward, moderately pitched roofs are less costly for labor and materials than houses that have many wall jogs, hips and valleys, steeper roofs and dormers. More complex homes will incur more engineering costs, possibly larger beams, and more details to finalize. Large roof overhangs can also add to the finished per-square-foot cost. When, Where and Who. The time of year a house is built, the building sites, accessibility and the contractor who builds it all play a part in cost. Starting your building project in the slow season can change labor costs. Some contractors demand higher rates depending on their workload and use sub-contractors who are slightly more expensive. A flat site that has been back-filled is easier for a crew to work on than a steeply sloping site that may have high land-development costs. Also, each and every Lindal home is engineered to meet or exceed local structural code requirements, so the high load bearing capacity of a roof in mountainous snow country will cost more than a lighter-duty roof in tropical locations. Windows and Doors. The best advice for making sure your windows and doors always perform is to make sure that you use good quality windows, doors, and skylights even if it costs a little more. Generally, casement windows cost more than double-hung windows. Hinged patio doors cost more than sliding patio doors. Operable skylights and roof windows cost more than fixed skylights. Arched fixed glass, circles, and trapezoids all cost more than rectangular glass. And, the wood species chosen for the frame will affect the price of your home. Often, Douglas fir costs more than pine; recycled timber is more expensive than new and kiln-dried timber raises the price of millwork. Interior finish affects price. Marble or linoleum? Tile or carpeting? Cedar liner or drywall? There are also various levels of quality for these interior finish selections in your home. These grades of finish can affect the final price per square foot of your home considerably. For example, you can select cabinets and appliances for a $20,000 kitchen or a $60,000 kitchen and greatly change your final price per square foot. Your local Lindal dealer will work with you to determine your budget, which will ultimately determine the cost per square foot for your chosen home design. What will my finished (turnkey) cost be as a percentage of the Lindal package cost? The cost of your home depends on many variables in addition to the Lindal package. Of course, the Lindal package price will also vary depending on size and other choices you make. Other variables, including local labor costs and the lot price and development, will be key in what percent the Lindal building system will be of your total project cost. Your local dealer can better address the average cost for your area. Do I pay extra for using all your “in-house” design and architectural services? When you work with Lindal to build your home, the package you invest in includes design services. To start, choose from one of our hundreds of floor plans, in the style of your choice. We can modify these plans to suit your needs and the requirements of your property. In addition, the typical package includes a weather-tight shell (framing, connectors, fasteners, siding, windows, doors, and trim). Options and upgrades are available, including decking, sunrooms, interior liner, etc. We design all components to integrate easily into your custom home. Is the price I get from your dealer when I sign the contract a guaranteed price for a delivery? Yes it is! As Lindal provides a lifetime structural warranty, there are sometimes a few cases where changes must be made to meet local codes or conditions, and these may adjust the price. These items can be discussed and identified readily by your local dealer in the planning phase. Is freight included in the package price? Yes. Your package price also includes design services and engineering! Do I pay sales tax on the Lindal package? Please check with your local dealer or an accountant. Sales tax is a local condition, and each state has its own guidelines. Your local dealer can best outline the payment schedule. It is best to make an appointment to go through pricing structures. Lindal typically requires a 15% deposit with an order and a prepayment of the balance prior to releasing the home package shipment from the plant. Can I buy my own windows locally? You can opt to do that. However, when most customers start comparing window prices, they decide to purchase Lindal windows. First, they are custom made to fit your home perfectly, making your home easier to build, while locally-supplied windows would likely have to be custom. Second, the pricing structure for our windows makes them very affordable. We stand behind the quality we provide 100%, but we cannot guarantee other product warranties. How long will you hold the price if I order my package today? The price is guaranteed for 60 days. Due to Lindal’s large inventory and buying power, we usually do not have a price increase more than once a year. Lumber conditions do change, however, and sometimes, we have been able to go two years without a price increase, while other times it has been six months. Is my deposit refundable if I decide not to go through with this project? If you cancel the process, valuable time and resources were already invested into your home. Your deposit refund will depend on where in the process you are, and it becomes nonrefundable after a certain point. Consult your local dealer for details. Can you suggest a lender who gives mortgages on your homes? We work with several national lenders. Your local dealer also has relationships with regional funding, and together, we can meet all your needs. Do you accept VA loans? Typically, our customers who want to use a VA loan finance with a commercial lender in the beginning, then roll over into a VA loan after a given time period. Those who have chosen to go this route felt it was a more efficient way to go through the loan process. Often, getting approved for a construction loan can be tricky. In many cases, two loans are required: one for construction and one for permanent financing. Usually, you will have to pay closing costs on both loans, not to mention the extra paperwork, time, and hassle involved. A construction-to-permanent loan combines both construction and permanent financing into one loan with one closing and related costs. Is there a way to use the equity in my current house as a down payment on my dream home? Yes, you may obtain a bridge loan. This enables you to use the equity in your home as the down payment on a construction-to-permanent loan. During construction, there are no monthly mortgage payments on the bridge loan. This lets you live in your existing home while you’re building your dream home. Your bridge loan is not due until your new home is finished or you sell your existing home. Can I buy a piece of land that is not a finished lot and save some money? That’s a good question. While it may be possible to purchase an unfinished lot, generally, this is not advisable for the individual building his or her own home, because the costs of bringing roads and utilities to the first lot in a new area are usually very high. Typically, the first person to build pays for others who will build later. There are land developers who specialize in preparing lots for building. This may include zoning and/or soils issues, as well as bringing roads and utilities to the site, and creating a building pad. Often, these lots are in a planned community. We would like to purchase a Lindal home that has already been built. How can I find a list on the market? We do not maintain a national list of Lindal’s currently on the real estate market. Local dealers often know when their customers’ homes are for sale. Your best bet is to contact your local dealer. Who do I contact if I have a problem after my package is delivered? Your local dealer remains your liaison and is always your first contact. They are there to assist you from beginning to completion and to make sure everything meets your needs. Problems that arise are translated from them to our Customer Relations department. How do I contact Lindal? Our corporate office is located in Seattle, Washington. To order literature, call (888) 4-LINDAL (454-6325). I need to contact your Customer Service department. How do I do that? Please visit our Customer Service page or email customerservice@lindal.com. I placed my order for my Lindal plan book set or other materials, when can I expect them to arrive? If there was any question in your order, you would have heard from one of our Lindal representatives within 48 hours of the day your order was first processed. If you would like to contact our customer fulfillment department, please provide the name on the order, your order number, and the items you ordered in your email. Why is my Lindal promotional or special offer code not working? You can enter your promotional code once you proceed to checkout and are in the Order Information and Summary page. Look beneath the Items to be Shipped and Grand Total, and you will see “Enter Your Promo Code” and a box. Enter the promo code in the box, and hit submit. If your promo code is accepted, the discount will be shown, and your grand total will be revised. If your promo code does not work, please contact our customer fulfillment department immediately with the name on the order, the promotional code you were trying to use, and the items you were ordering. We can then assist you through the order. If you completed your order but were not able to enter the promotional code, please contact our customer fulfillment department with your name, order number, and the promotional code, and we will adjust your order. Why is the cost of shipping the plan books overseas so high? To give you the best service for delivery to other countries, we choose to ship our books via UPS Worldwide Express. We can track the package easily, and you will usually have it within 3-5 days. If there are any problems with your package delivery, we can count on UPS to rectify the situation immediately. If you would like to contact our customer fulfillment department, please provide the name on the order and the items you ordered in your email. Is it possible to maintain the natural exterior of a cedar home? Most Lindal exterior cedar siding comes pre-stained. We recommend you discuss stain options with your local Lindal dealer. What can I use to preserve the interior walls of my cedar home? There are many products that we feel easily maintain the interior on a cedar home. Many local dealers can refer you to products they feel work well in your local climate. Lindal also provides an excellent prestaining option using Sherwin Williams and Sikkens products. Another great source on maintaining cedar is the Western Red Cedar Lumber Association. How do I care for my cedar home & decks? It is relatively easy to maintain a natural exterior and interior on a cedar home. Many local dealers can refer you to products they feel work well in your local climate. Another great source on maintaining cedar is the Western Red Cedar Lumber Association. This is a helpful article for information on maintaining your cedar deck. I understand that Lindal has a lifetime warranty. Is that true? Yes! We do offer a Lifetime Structural Warranty to the original owner of the home. To find out more details about the most comprehensive warranty available in today’s homeowner market, please contact your local dealer. Is there an advantage to using tinted windows? Whether you choose to tint your windows or leave them clear, you will see the same benefits with a Lindal window. They are energy efficient, with highest industry rating for their ability to prevent air and water infiltration under the toughest test conditions. State-of-the-art low-E argon glass is our standard for comfort, energy efficiency, and reduced fading of draperies and furniture fabrics. A SkyWall varies from a sunroom in that it is in line with the rest of the roof line. A sunroom tends to protrude from the house. We plan to have a hot tub in our sunroom. How will the sunroom hold up with the high humidity that the hot tub will create? Lots of our customers install hot tubs in their sunrooms. If not initially, then sometime after the room is built. It is a magical feeling to be able to enjoy the outside while you are snug and secure in a glass structure, like a Lindal sunroom. You can rest assured that every Lindal sunroom is engineered and designed so that the moisture and condensation will escape and drain to the exterior of the room. The drain design (on both the vertical glass and sloped glass) is critical when thinking about an addition that will contain a hot tub or even lots of plants. Without planning for this moisture and humidity to exit the room, within a short time, the wood framing members will start to rot, and the insulated glass seals will fail. I’d love to have a sunroom on my home. However, several years ago, a relative of mine built his own sunroom, and for 6 months of the year, it is too hot to sit in. What did he do wrong? Chances are, your relative didn’t use the correct type and the right amount of glass. The technology that is applied to glass today is far superior to the glass that was available just a few years ago. Our dealers are trained to visit your site and determine the correct specification and the right amount of overhead glass that will work best for your specific situation. By using the correct type of glass, you should be just as comfortable in your Lindal sunroom at noon on the 4th of July as you are on Christmas morning. Does Lindal offer room additions other than sunrooms? We sure do! We actually have two other types of additions that are different from our sunroom products. One of the rooms is called our patio room. This great-looking addition utilizes a traditional solid framed, rafter roof system with insulation and your choice of interior ceiling finishes. The perimeter walls can be sided with the same siding as is currently on your home. The windows can also be the same as—or similar to—those in your existing home. The other style of room addition, which is called our post and beam addition, looks similar to a Lindal Cedar Home. We use architectural grade glulam posts and beams to support the walls and roof. As with our other rooms, we offer a variety of roof pitches, siding options, and window styles. Does Lindal have experience shipping Lindal home packages to countries outside North America? Yes, more than forty years worth. We have shipped homes to most major housing markets in the world. With our experience, there probably aren’t many challenges that could occur in your project that we haven’t had to deal with before! Most of the world uses metric. Is this a problem for you? Can you accommodate letter of credit or other trade finance instruments? Yes, on a case-by-case basis, dependent on approval by Lindal’s International department and our bank. We need to know your request upon the placement of your home package order. Can I purchase the Lindal home using my home currency? Lindal homes sold to be built outside of North America are sold based in U.S. Dollars. Can we come to Seattle to see your operations before we finalize our purchase? Yes, we are happy to meet with you at our corporate office, which is just 10 minutes away from Seattle-Tacoma International Airport, in Seattle, Washington, U.S.A. Does the Lindal Lifetime Warranty cover my Lindal home overseas? Yes, we offer the Lindal Lifetime Structural Warranty to homeowners no matter where in the world you are building. I live in a tropical location. Is it possible to have a Lindal home here? Yes. Lindal homes have been built in many tropical areas, including Hawaii, Thailand, Malaysia, the Caribbean, the Philippines, and more. We can meet and exceed any requirements for weather, local codes, insects, etc. I notice that there is not Lindal dealer anywhere near my country. Do you have a way for me to order a home from Lindal, or should I try to contact one of your dealers in North America? If there are dealers anywhere in your vicinity, there is no question that contacting one of them is the best way to order your Lindal home. But the fact is that most of the world has yet to see a Lindal dealership! If you are in an area without a dealer, please contact us, and we will be happy to assist you. Yes, we can complement the Lindal home package with as much of the finished package as you need. The Lindal package consists of a structural home package and does not typically include the finishing materials, which is usually supplied locally in North America by the dealer or homeowner. This finished package could include basics like floor coverings, cabinetry, and plumbing fixtures, or it can be as extensive as Lindal supplying all of the finishings down to the interior decorations. How do you load a house package? Lindal’s shipping facility uses a loading and shipping system forged from more than 70 years of experience. Our loading professionals know how to utilize the air bags, pull rods, and other shipping devices and techniques to load the house package correctly to minimize the possibility of freight damage. Depending on what country you are in and your proximity to the ports, this can take anywhere from 10 to 45 days, or more. The import process can take more time, depending on the country. How can I estimate the cost of shipping to my building site? Lindal homes are shipped in 20-foot, 40-foot, or 40-foot high-cube containers. A freight forwarder can provide you with a quotation for the costs per container, or contact us for help. How many containers will it take to ship my Lindal home? A rough rule of thumb is to estimate 1,500 square feet (142 square meters) of Lindal design per 40-foot container. This will give you a rough estimation, but we have learned from experience that we just cannot guarantee how many containers will be needed until the house is actually loaded. Are there Customs duties or export fees? There are no fees assessed to you for exporting the home package. But, more often than not, there are duties and/or taxes/fees that you pay when you import your Lindal home package. We suggest you contact a reputable and experienced Customs broker in your market to ask for advice on the costs involved to import a “knock-down cedar home package.” Of course, Lindal’s International department can assist to provide more information. Our government requires special documentation that is necessary to import the wood into our country. What should I do? Once you have placed your order and we have a rough timeline for your order, our International department will be in touch with you and your freight forwarder to determine what will be needed. Having shipped to most markets around the world, there is little that we haven’t seen before! Can Lindal help us find a contractor? We are happy to introduce you to third-party contractors who are in the business of building overseas. Naturally, we can’t guarantee a third party’s work for you, but we can provide a list of several companies that have built Lindal packages for other clients for you to investigate. Lindal uses wood judiciously in our production procedures, and we buy our wood from sources that follow prudent forestry practices. We also do not use “old-growth” timbers and prefer a smaller log to maintain quality. Western red cedar, used in our homes, is a member of the arbor vitae family and is grown primarily on the West Coast. Protecting and preserving the environment is a top priority at Lindal. Lindal is concerned about the environment and wants to protect and enhance it. Lindal’s environmental consciousness is reflected in everything we do, from the way we run our plant to the way we operate our home office. We recycle and use recycled paper extensively. 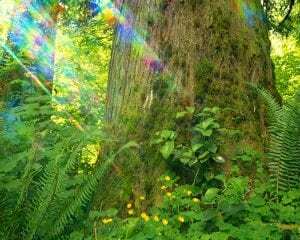 We also purchase individual memberships for our homeowners in one of the nation’s oldest nonprofit citizen’s conservation organizations, American Forests. Since the 1990s, Lindal Cedar Homes has faithfully supported the American Forests Global ReLeaf forest restoration program by helping plant trees on behalf of new Lindal home buyers. Since 1990, Global ReLeaf has planted more than 50 million trees in damaged and degraded ecosystems in every single state and in 38 countries worldwide. As this nation’s oldest national conservation organization, they have been at work since 1875 helping to preserve the health of our planet for the benefit of its inhabitants. Our relationship with American Forests stretches back over 25 years—almost as long as the Global ReLeaf program has been running—and has resulted in the planting of more than one hundred thousand trees in critically important ecosystem restoration projects. How can I choose an environmentally-friendly home? The building materials you pick to build your new home factor into saving energy and our environment. Trees improve the environment, as they supply oxygen and help control ground water. Of course, trees make a great building material—and they can be replenished quickly by planting new green trees. At Lindal Cedar Homes, we are concerned about the environment, and we use responsible building and business practices to protect and enhance it. It is the layperson’s perception that the best timber comes from the biggest and highest-quality old-growth timber available. Actually, wood fiber from a second-growth pulp log is exactly the same as the wood fiber from the finest tree in an old-growth forest. Moreover, the second growth timbers have improved knot quality, due to their small diameter. One of the reasons our founder, Sir Walter Lindal, chose to work with cedar is that it grows quickly and is relatively straight. After more than 70 years, Lindal Cedar Homes is committed to purchasing the highest quality building materials from responsible suppliers who utilize sustainable harvesting practices. We also believe in replenishing the forest. For may years we’ve participated in American Forests Global Releaf program. As a thank you to new Lindal homeowners, Lindal sponsors their membership as a “Forest Protector,” which includes 25 trees being planted in their name. Another area that Lindal focuses on is training our dealer network. Each dealer is knowledgeable in siting your new home to protect the ecosystem on your lot, as well as designing your dream home to use the surrounding environment to capture the sun’s energy and resist the extreme weather patterns to make your home energy efficient. Contact your local Lindal dealer and ask about their services. As environmental issues continue to evolve, rest assured that Lindal will continue to procure and develop green building products. Do you offer solar home plans? We can provide design assistance to incorporate many solar home lifestyles into our post and beam system. Whether that be active solar panels or passive use of the sun on the site, we can incorporate all your needs. We were founded in 1945. We are celebrating more than 70 years of building quality cedar homes. In fact, there are almost 50,000 happy Lindal homeowners around the globe. Can I have some names of past customers so I can call them for references? Your local dealer is the best resource to provide you with customers to talk to about their Lindal experience. As we respect the privacy of every Lindal homeowner, there is a short window of time during which a home may be available for viewing. Therefore, we do not post a list of homeowners. Please discuss your options with your dealer. How many Lindal homes have been constructed? Over 50,000 Lindal homes are built around the world. To see a home near you, please contact your local dealer for model viewing availability. Our international headquarters are in Seattle, Washington. We do have dealers throughout North America and in several international locations to serve you locally. We will design, craft, and sell high-quality dream homes and building products to an upscale market segment through an international network of local, independent dealers. Our dealers, employees, suppliers, and shareholders are part of a unified Lindal Cedar Homes team. Our team will strive for continuous improvement utilizing appropriate technology, tools, and equipment. We will work to provide an environment that promotes personal growth and achievement, teamwork, and high morale. All team members will practice and actively promote the use of our guiding principles: trust, accountability, open communications, and integrity. We will work together as a successful market-driven team dedicated to cost control and unparalleled customer service. As a result of meeting these challenges, all members of our team can be successful, and our customers’ expectations will be met or exceeded. Do I need to build a model home? No. there are a variety of dealership options. They include – Commercial Model Home Center, Lindal Design Center, Home Sales Office or Subdivision Dealership. Please contact us for more details. Can I choose any location I want? Although we will consider any location that you may have in mind, we are actively recruiting new dealerships in select areas. Do I get a protected territory? Yes, an area of primary responsibility is assigned to each dealership. No other Lindal Cedar Homes dealer will be set up in your area. Leads are provided by Lindal and result in inquiries by potential customers currently residing in your territory, or additional locations by mutual agreement. Can I sell to people who want to build in other states or provinces? You may sell to anyone in your country. You can also advertise in areas outside your territory, as long as you use your approved dealership address. This is sometimes done in cooperation with other dealers. Ads can run online or in print publications which are distributed throughout the state or country. If I build up a business, is it my asset, and can I sell it later? Yes, as a result of your efforts, the business is definitely yours, and Lindal will allow you to sell it to an approved person. Do I need to have a real estate license or building/construction experience? No, you won’t be selling real estate. Some of our top dealers came from other fields and had no prior experience in the housing industry. However, it does help to have some sales and marketing experience. Do I need to leave my present career immediately? No. You will need time to orient yourself and build a list of potential clients. If you are financially able to start full time, it is a plus, but we allow for a reasonable transition period. Can my spouse and I manage the business together? Definitely. Some of our most successful dealerships are run exactly this way. Other than Seattle-based personnel, does Lindal offer regional support for dealers? We have regional Dealer Advisory Council members. These are experienced Lindal dealers, elected by the dealership network, who are available to help you. Is there a franchise or dealership fee? Is there a large cost to getting started? None other than travel costs for training, the cost to register a LLC for the dealership, and the initial few hundred dollars to buy the recommended marketing materials that you may want to demonstrate Lindal products. Your Lindal career begins with a “New Dealer Training” seminar in Seattle, WA. We provide additional training through monthly Continuing Education webinars, regional meetings, and a multi-day annual dealer conference each year. The annual conference is usually held in January. If I build up a business is it my asset and can I sell it later? Does Lindal Offer Advertising/Marketing Support? Yes. All dealers are expected to participate in a cooperative advertising program that we fund for new dealers, which helps subsidize various advertising/marketing activities. Every dealer has a webpage for their dealership on the Lindal.com site, that can be modified and personalized by the dealer.